HJ: Often unnoticed, yet extremely important, our Auras have a major protective role in our health. For many, they go unnoticed as being able to ‘feel’ them requires us to tune into a quite subtle level of energy. However, whether we are aware of them or not, their state of health still has a massive effect on our health. This is because the Aura is a shield of sorts, protecting us from harmful electromagnetic frequencies as well as the etheric and emotional energy of others. When our auras become disturbed or damaged, it leaves us vulnerable to unwanted energy, be they manmade or otherwise. That being said, Aura repair is simple for the most part. Making a regular practice of repairing your Aura daily is an easy way to substantially boost you health, energy, immunity and mood. With just a few minutes of the practice of any of the techniques below, you can make rather effortless gains in your wellbeing. For such a minimal time investment, the quality of life improvement you get from these practices is massive. 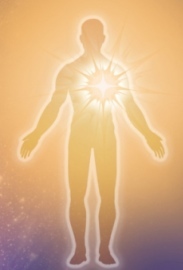 Our auras, or energy fields, interact constantly with the energy of others. It’s not uncommon for us to take on some of the energy of other people. For example, have you ever been in a great mood, then spent time with someone sour and negative, only to find that your good mood has evaporated? You’ve probably taken on some of the energy of the negative person. Usually it does not serve us well to absorb others’ energies into our own auras (although there are exceptions). When our auras are harboring unwanted energies, we may feel tired, down, unbalanced, depressed, anxious, “not quite ourselves,” or even ill. We can clear our fields through various aura cleansing techniques. There are many aura cleansing techniques. (If you don’t already have some favorites, you’ll probably develop them.) However, here are some suggestions. Some of them are so simple and healthy, there’s just no reason not to try them! Drink a glass of water–filtered or spring water, if possible. Make sure you drink approximately 9-12 cups of pure water a day. Take a warm bath in which one cup or more of salt–preferably sea salt–has been dissolved. Spend five minutes breathing deeply into the lower third of your lungs, so that your belly rises with each inhale and falls with each exhale. As you inhale, feel the clean air restoring and refreshing and renewing your body and energy field. As you exhale, feel your body and field being cleared of unwanted and negative energy, and anything that doesn’t serve you anymore. Out with the old, in with the new! Get out into nature. Sunlight is a natural energy purifier. A walk in a forest or desert is naturally calming and cleansing to your energy field. The beach, with its salt breezes, is especially good–but standing in any wind, or bathing in any natural body of water, has a cleansing effect.If you can’t get out of the city, find a place that allows you access to sun and fresh air, such as a park or a roof-top. Breathe nature in and let it calm and refresh you. Make an aura cleansing spray out of spring water and a cleansing essential oil such as lime, lemon, or juniper. In a spray bottle, mix a few drops of essential oil in a cup or so of spring water. Shake it up and spray it toward yourself from arms length (avoiding your eyes, of course!). Smudge yourself with a sage stick. To do this, it’s easiest just to purchase a smudge stick at a natural health foods or “new age” store–although if you have a large sage plant, you can make your own by gathering and drying sage leaves, them bundling them together and tying them tightly with a natural-fiber cord.In a fire-safe place, light the end of it and blow out any flame so that there are just a few embers burning and creating a small amount of smoke. Wave the smudge stick around your body from head to toe, allowing the sage smoke to purify you.It’s common for burning bits of sage to fall to the ground, so be sure you do this in a safe place. Crystals are great aura purifiers. Crystals traditionally used for this are smoky quartz, obsidian, selenite, or black tourmaline, but any crystal that you feel drawn to will do.You can just carry one with you or wear it around your neck, or keep one at an altar or at the head of your bed.If you’re feeling the need for something more powerful, lie down and place the crystal on your brow, between your eyebrows and a little above. Relax, breathing deeply and comfortably, and imagine a white, purifying light emerging from the crystal and surrounding your body in white light.Or, sweep the crystal repeatedly through your energy field, head to toe, with the intention that it will absorb any negative or foreign energies. Light–imagined or real–is a classic aura cleanser. Lie or sit comfortably. Relax and breathe deeply and comfortably for a few minutes, allowing your body to relax and unwind.Imagine your body completely filled with white light. Visualize the white light purifying and restoring your body, and displacing any negative or foreign energy. Give yourself time to enjoy this feeling.Expand the light beyond your body, as many times as necessary until it extends a foot or two beyond your body–or where-ever feels intuitively right. Visualize or feel it purifying and restoring your field, and displacing any negative or foreign energy, pushing it out into the universe, where it will be neutralized and reabsorbed into the cosmic field. Give yourself time to enjoy this feeling. How do you know if your efforts have worked? You’ll feel better–more relaxed, peaceful, clearer-headed, hopeful. If your own efforts don’t seem to be working for you, you may want to contact an experienced energy healer or aura healing practitioner. Sometimes we all need a little help!